So far Scott Donnell has created 2 entries. Thanks to the generosity of Anthony’s Restaurants founder and owner, Budd Gould, Anthony’s at the Old Mill District has hosted the Feast at the Old Mill for the benefit of the Central Oregon Community College culinary program for the past ten years. There is always something happening at Cascade Culinary Institute. Check out our Facebook page for photos, news and events! 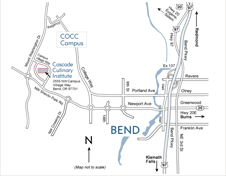 Cascade Culinary Institute inspires high-level conceptual learning and competency-based skill proficiency with an emphasis on hospitality industry career preparation. Copyright © 2019 Cascade Culinary Institute. Central Oregon Community College. All rights reserved. 2555 NW Campus Village Way, Bend,Oregon 97703. (541) 318-3780.